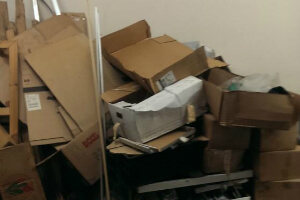 Hackney E Office & Home Junk Removal | Quality Property Care Ltd.
Those times, when you keep storing and stop throwing old stuff, come to every of us. Whether we don`t have enough time or the materials to remove the junk, it becomes more and more. And one day we wake up in a house full of trash. Or we end up to come in unpleasant and repulsive working environment. No need to move or dismantle everything! The professional technicians from Quality Property Care Ltd. will dismantle all the big furniture and junk and pack the pieces, on their own. If you have more doubts or details you would like to get, speak to us and we will set up the professional junk removal service in a most hassle-free for you time and way. Once you fix the rubbish removal service, we will sent to you the tested and vetted technicians. They will evaluate the quantity of junk and will settle a date. Make a combination with junk removal service and any of our specialized cleaning services to get a unique discount! Our rubbish removal company provides a full range of competitive and eco-friendly cleaning services that can fit any budget! We work with a wide rage of clients and are capable of doing and eliminating quite a lot of various types of materials. Our domestic services include house clearance, garden clearance, garage clearance,, small household appliances and loft clearance. For the commercial services we do office clearance, shop clearance IT materials disposal, tire disposal, construction waste disposal, builders clearance and refurbishment waste disposal. All of this is carried out by professionally trained experts who are able of working on both small and large projects. We have a few vehicle types ready for work, dependent on on the job at hand and the size of the furniture or other supplies we are removing. We can support both large and small jobs, done all in one go without any trouble or additional demands. If professional junk removal service in Hackney E is a must for you, you are just on the perfect spot. Dial this phone number: 020 3746 4287 and access our kind client support reps. 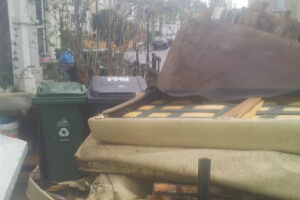 Fix rubbish removal service now! Bring back the order around you and remove the last sign of the chaos right now!